What Christmas Means to Me by Amy Dunne (Plus a FREE Book). Check it out, y’all! Amy Dunne is here! Woo! She’s kicking off the holiday season with an awesome blog about Christmas. Incidentally, she’s also celebrating the release of her second book, Season’s Meetings. 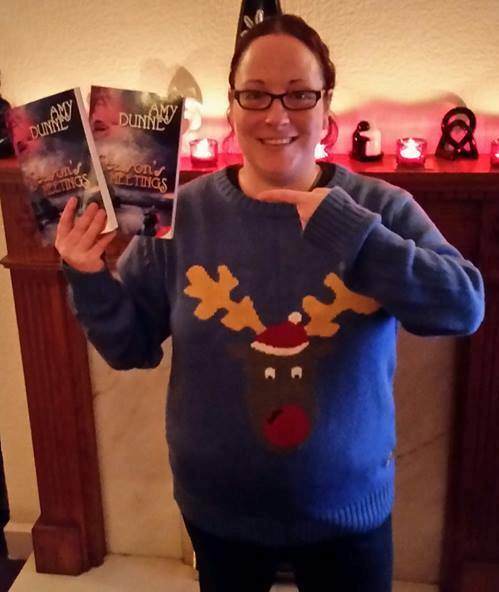 Because Amy’s got nothing but love, she’s giving away TWO copies of Season’s Meetins, one paperback and one ebook! Drop a comment into the space below and we’ll draw a couple of winners on Friday, 12/5/2014. Christmas has always been a special time for me. I’m very fortunate that my family have celebrated Christmas together with love and laughter all the years I’ve been alive. 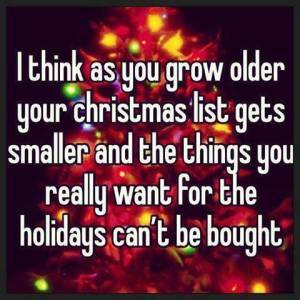 As a child, I took this for granted, but most children get caught up in the magic of Christmas. It’s only as I’ve grown older that my perspective of Christmas has changed. It’s the first day of Advent, so deck the halls and all that! 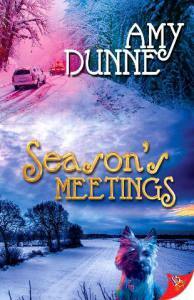 To help us celebrate this most festive of festivals, we have a guest blog from Amy Dunne, whose Christmas-themed novel Season’s Meetings is out this very month. Falalalalalalalalah.